When Delhi Police’s much-feted “encounter specialist” ACP Rajbir Singh was shot dead by a property dealer friend in the latter’s Gurgaon office back in 2008, there were immediate signs that something was not quite kosher. The then top cop ordered that nobody from the force was to attend his funeral. For a fabled officer credited with 42 “kills” and conferred with two out-of-turn promotions, a PRO was the sole representative of the 85,000-strong Delhi Police in attendance. The most nominal of gestures possible. Political leaders, who had often patted him on his back and benefited from his kills, too preferred to give it a quiet miss. So did sundry former commissioners and heads of the anti-terror Special Cell, who had basked in the glory each of his encounters brought them. 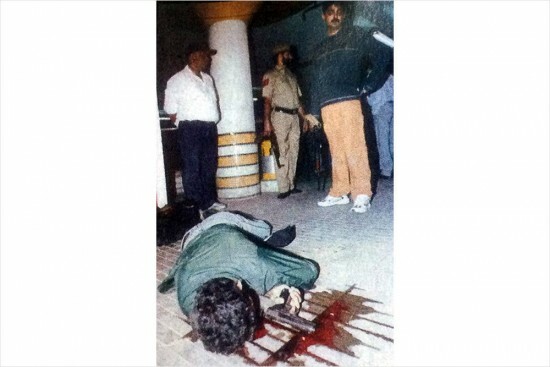 His “kills” included western UP gangsters notorious in the 1990s, Kashmiri militants and Pakistan-trained terrorists. He was the key officer in charge of two of the biggest terror cases—the Red Fort attack of 2000 and the Parliament attack of 2001—both heralded as great investigation successes, but also questioned, in equal measure, by lawyers and human rights activists. Rajbir’s rise in Delhi Police was meteoric and unprecedented—from a mere sub-inspector to an ACP in 13 years, a non-IPS officer who cracked the top echelons, aided by those out-of-turn promotions. His exploits earned him the praise of politicians, helped him forge close bonds with intelligence operatives, as also a network of underworld informers. His proximity to the then Kerala CM made the LDF ­accuse IPS officer Raman Srivastava of shielding the culprits in the ISRO spying case. By this time, ACP Rajbir Singh’s name had been linked with the drug mafia and satta racketeers; extortion was being spoken of, and land-grabbing and cutting advantageous deals in property disputes. He operated out of a plush two-storied house in Lajpat Nagar. While investigating the Amar Singh phone-tapping case in 2005, he is believed to have established a good rapport with the politician. Thanks to his political connections, Rajbir somehow managed to escape serious legal wrangles even though he was investigated a few times—by the vigilance department, by the narcotics wing and also the CBI. Even the Delhi High Court had issued notices on charges that he and his colleagues manhandled some people in west Delhi’s Kirti Nagar in connection with a property dispute. Rajbir is believed to have had gained the trust of then home minister Lal Krishna Advani after an anti-­terror operation he led in Kashmir in 1998, in which Hizbul Mujahideen’s deputy supreme ­commander Ali Mohammed Dar was gunned down. Later, as deputy PM in 2002, Advani even visited Ansal Plaza in south Delhi—the site of a con­troversial ­encounter in which two all­eged LeT terrorists, Ejaz Ahmad and Abu Anas, were gunned down—along with the IB director. The visit was cited as the ­biggest defence by the pol­ice to show the encounter was authentic, not stage-managed. “He had somehow inveigled Advaniji and had unhindered access to him. In fact, Rajbir even used to brag about having a hand in the appointment of a police commissioner, someone not particularly seen as deserving. He apparently assured the officer that he would get him the top post and then promptly went and arranged it,” a retired police official tells Outlook. An ‘encounter specialist’ in his policing days, Ajoy Kumar chose to quit and became an MP. He eventually joined the Congress in 2014. Sources say Rajbir had become so emboldened by his connections that he was willing to throw all caution to the wind. “Many of his kills were genuine but several others raised doubts. But he always had friends from the IB to certify his encounters or the identity of the ‘terrorist’ killed. It was a win-win situation for all. That’s the reason he had an unbridled run,” the former cop explains. It’s been over nine years since Rajbir met his end, and the Special Cell of Delhi Police is certainly not the same. An officer mentored by Rajbir, Inspector Mohan Chand Sharma, died six months after him in the controversial Batla House encounter. The “encounters” have more or less died down with a new breed of officers taking over the reins of the force. The new generation includes Rajbir’s son, Rahul Rajbir Singh. He was 16 when his father died and realised the ACP’s dream of seeing him as an IPS officer in 2016. The young officer, understandably, refuses to be drawn into the controversies surrounding his father’s way of operating or whether an extra-legal edge colours the fight against terror. “I cannot say anything about it. I don’t have the requisite experience,” says Rahul Rajbir Singh. He is posted as ACP in Patel Nagar, West District. His father’s first stint as ACP too was in West District, where he is credited with several high-profile encounters while heading the Operations Cell. Rajbir is hardly the only police officer who operated in an ethical grey zone. The Indian police forces are replete with stories of officials who enjoy political patronage and in return allow themselves to be used by the state to settle scores. Even the CBI, the country’s premier investigating agency, has failed to escape allegations of bowing to political pressure—recall that it was the Supreme Court that called it a “caged parrot” that “speaks in its master’s voice”. This was in May 2013, during hearings on the coal scam—a time when there was no dearth of political pressure or vested interests to be served. Not that other regions are immune. Raman Srivastava, a Kerala cadre 1973-batch IPS officer, who now lives the quiet, retired life of a pepper farmer in his adopted state, prefers not to revisit his halcyon days when he was known to be very close to then CM K. Karunakaran. Srivastava was sought to be implicated in the ISRO espionage case, perhaps to embarrass Karunakaran. “I don’t want to make any comments,” he tells Outlook, citing his role as an advisor to the state police. 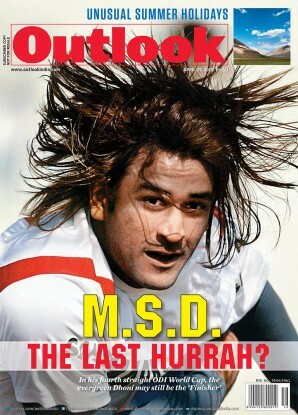 His proximity to Karunakaran had made him the target of the Opposition in 1994-95. The LDF had demanded Srivastava’s resignation, alleging he was protecting the real culprits. Karunakaran had stood by him. Srivastava was later exonerated by the CBI, as were two key ISRO scientists D. Sasikumaran and S. Nambi Narayanan. The case went down as an attempt by foreign agencies to slow down the indigenous cryogenic engines project. But Raghavan is perhaps not off the mark about the northern states. Dr Ajoy Kumar, a 1986 batch IPS officer of Bihar cadre, is now one of Congress’s national spokespersons. He was also the Jamshedpur MP, winning a mid-term election in 2011 as a candidate of Babulal Marandi’s Jharkhand Vikas Morcha. During his policing days, he too had earned the tag of an “encounter specialist”. Another sobriquet bestowed on him was that of “Laloo’s blue-eyed boy”. As the SP of Jamshedpur (in undivided Bihar), he was responsible for nearly two dozen encounters and the arrest of three big dons. One of his batch-mates says the pressure got too much for him. One incident he recalls was a raid on the residence of a minister. After the raid, Kumar was asked to give a complaint against his own officer. However, he preferred to quit. He joined the Congress in 2014. Kumar is candid as he talks about the symbiotic relationship between khaki and khadi. It’s the police leadership at the IPS level that’s mainly responsible for politicisation, he says, as they have mostly forsworn their independence. He says 99 per cent of policing doesn’t involve politicians, and brooks no interference from them. But that leaves a crucial one per cent. “It’s in this minuscule number of cases that politicians use the police to influence outcomes or to protect someone. The police leadership obliges because they want their little favours—transfer/postings of their choice,” he explains. This morally grey zone also brings in a layer of immunity. “By helping politicians in one per cent cases, the policemen get a free hand to get 99 per cent illegal work done without any fear of action. This may be land-grabbing, extortion, prostitution, illegal construction. This allows policemen to become a law unto themselves,” Kumar adds.